Andreea Calin shared a photo with me on Twitter of a new Google search feature. The feature looks to pull other topics around your query. 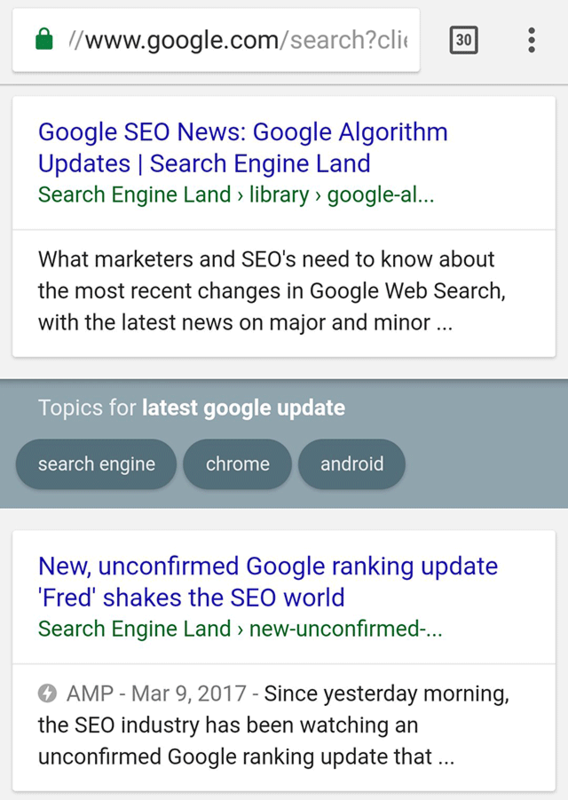 So I believe Andreea searched on Google mobile for [latest google update] and was given this box that stands out asking if she wants to click on topics for latest google update and then three buttons, search engine, chrome and android. Yes, that design and feature really does stand out. I don't believe I've seen this before, but I may be wrong. I personally cannot replicate this.